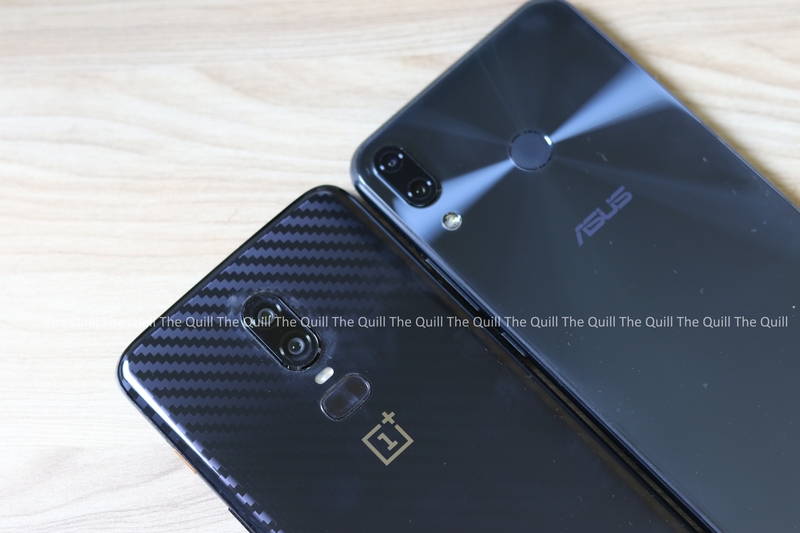 OnePlus 6 vs Asus Zenfone 5Z : Which One Is The Winner? OnePlus 6 is now ruling the charts in India and worldwide as the most popular affordable flagship phone now. A lot of brands have tried to topple OnePlus from their perch, none has succeeded so far. 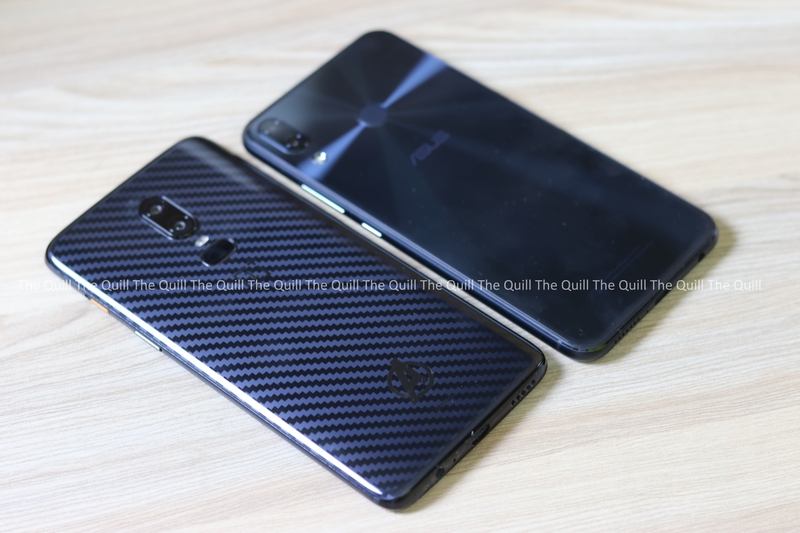 The Asus Zenfone 5Z has emerged recently as the only worthy challenger to that spot with almost similar specs and very thoughtful packaging. Let us try and compare these two phones and see which one is the winner. Straight out of the bat, let me categorically tell you that the OnePlus 6 is the best designed OnePlus phone that I have seen and that is saying quite something given the long line of really well-built and designed OnePlus device up until now. OnePlus has till now been using metal to make very telling design statements in their devices. 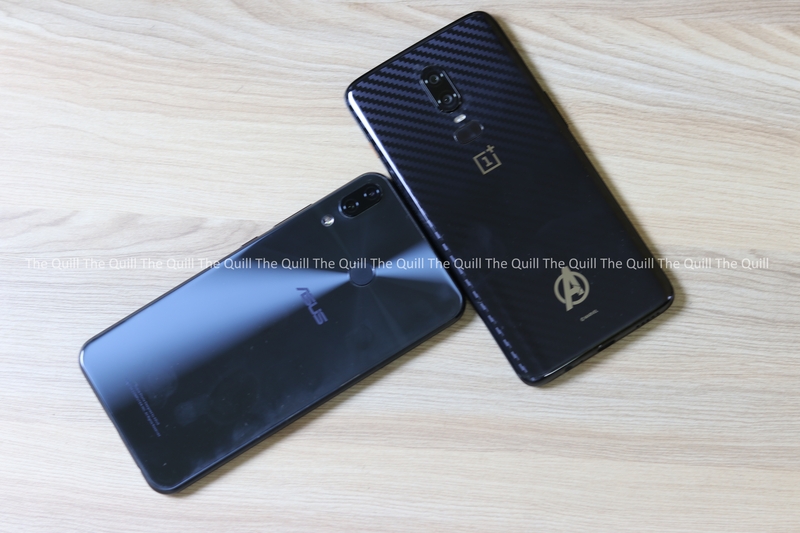 With the OnePlus 6, they have moved to an all-glass design where Corning Gorilla Glass 5 is the hero and the device looks exquisite. The metal rims that hold the glass front and back together is also polished to give it a glass-like finish. The phone feel amazing to hold and definitely makes heads turn when you pull it out of your pocket. 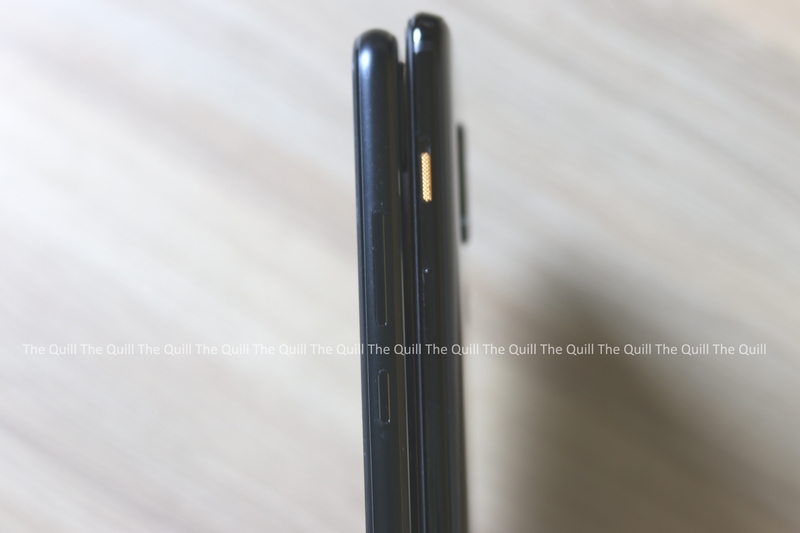 The uninitiated may tell you that the rear end looks like the Samsung Galaxy S9 series and the front looks like the iPhone X, but given the very small leeway that brands have when it comes to design and form factor I would much rather say that it looks like the top end flagships of 2018 and I don’t see it as a problem at all. Aside from the fact that it looks a lot like the iPhone X, the ZenFone 5Z is very definitely designed to impress, using premium materials and evidently cutting-edge craftsmanship. Its very noticeable edge-to-edge 2.5D-curved screen merges imperceptibly with the delicate body, giving ZenFone 5Z a beautiful seamless appearance and a luxurious feel. This is in line with the way most top end android flagships look today. Having said that, given the unique designs that ASUS has been giving us over the years, I was expecting a little more from them. They seem to have caved in to the current trend in smartphone looks. This is not a complaint, more of a pet peeve from me. The rear camera bump is a tad bit smaller than the OnePlus6. 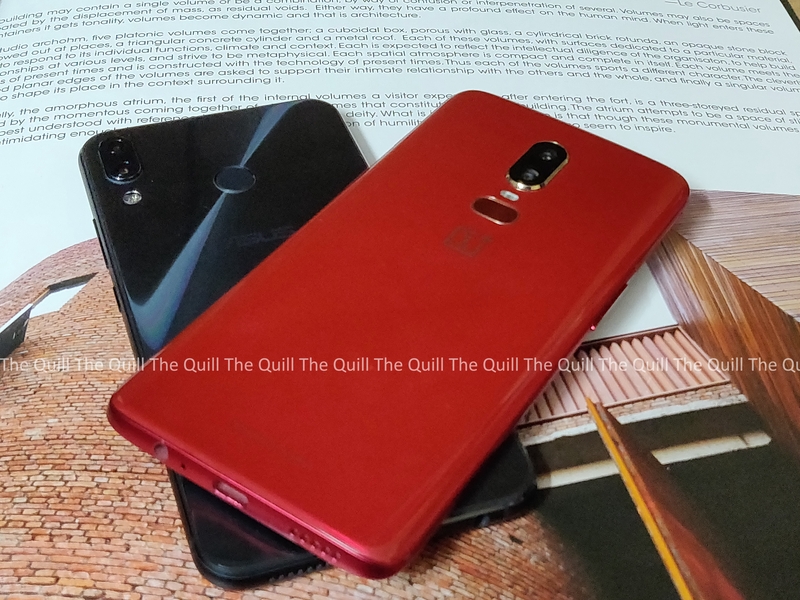 The fact that a thinner sheet of glass has been used in the back means that it is lighter than the OnePlus 6 and certainly is more comfy to hold. The dual cameras on the rear are positioned exactly like the iPhone X though. Due to the lack of the array of sensors the iPhone X has, the Zenfone 6 still has a fingerprint scanner on the rear side. With a 6.28-inch Full Optic AMOLED 19:9 display – OnePlus’ largest-ever screen – the OnePlus 6 offers an immersive viewing experience, while keeping a similar form factor to that of the OnePlus 5T. Due to the presence of the notch and its edges, the OnePlus 6 screen now measures 6.28 inches which is marginally higher than the 6.01 inches on the OnePlus 5T. Like I said earlier, there is a display setting that lets you mask the notch, and I did not experience any sort of trouble with trouble with any full-screen apps or even video players. The screen resolution is 1080×2280, which is well below the Quad HD resolution that is prevalent today but that change is hardly perceptible to the human eye, and it’s extremely unlikely that you will feel like you’re losing out on anything in real life though. So absolutely no issues there at all. The screen is pretty vivid and the viewing angles are quite good. The ability to switch screen calibration from RGB, sRGB to DCI-P3 through the settings is pretty nifty to have. The auto-brightness setting was a tad bit on the aggressive side and personally, I preferred to not have it on. Sunlight legibility is not an issue at all and the display stands you in very good stead even under heavy usage. One of the best displays in the market now on and Android phone I would say. ASUS has done a lot of work on Zen UI. The Software shell that used to be once very heavy and retro is now very light and smooth. They have kept it as close to the stock experience as possible. There is no bloatware ir unwanted stuff that you can see. Although personally, I would have preferred to have the ability to uninstall the facebook family of apps too. There are a lot of nifty additions that are there but stay out of the way. The most significant feature for me is the stereo sound output and the clear and room filling sound it delivers. The AI in the phone can also figure out the ambient sound levels of the place it is in and then adjust the ringing volume accordingly, this means that the phone is louder in loud places and discreet in quiet places. And then there is the fact that the ZenFone 5Z introduces AI-powered intelligent charging that maximizes your battery’s lifespan and provides total protection. It does this by dynamically adjusting the charging rate, which slows down the battery ageing process. This means that even when you charge the battery overnight, the charging rate and duration are maintained at a level where the battery is charged well and the battery life is also optimal. The OnePlus 6’s dual camera system features a 16MP main camera, supported by a 20MP secondary camera. With an f/1.7 aperture, the 16MP main camera has been bolstered by a 19 percent larger sensor and OIS for outstanding performance in a range of lighting conditions. With Advanced HDR, OnePlus’ improved High Dynamic Range algorithm, the OnePlus 6 brings out shadows and enhances lighting in photos. Portrait Mode will be available on the OnePlus 6’s front camera as well as its rear. Using AI, the front camera is able to apply a depth of field effect to selfies. Newly added bokeh effects, including circles, hearts and stars offer new ways for users to customize their portraits. The OnePlus 6 marks the introduction of OnePlus’ Slow-Motion mode, which can capture high-definition video frame-by-frame with astonishing detail, ensuring users never miss the action. The enhanced bokeh mode in the rear cameras is very visible and the edges of the subject are very clearly demarcated in pictures and the blurring of the background looks very thoroughly professional. With the increase in the pixel size, OnePlus has managed to make the low light pictures look a lot better. The photos are good and the colors are rendered very crisply. Pictures taken with the HDR mode are very vivid and I now have the mode on for all my pictures. The algorithm sometimes does over correct colors but overall the results are very nifty and good. ASUS says that the intelligent dual-camera system in ZenFone 5Z thinks for you, with advanced AI features that can seemingly anticipate your needs and adapt to your preferences, so you can concentrate on the subject, not the camera, and get great looking results every time. ZenFone 5Z brings embedded AI into mobile photography, giving you a simpler, smarter way to capture and share every important moment. The camera is capable of “seeing” what you are focusing on, understanding what it is and then adjusting settings to give you optimal results when you click the picture. This is actually taking on both the Honor 10 and the OnePlus 6 here. I put the camera through different scenarios and it was able to auto sense almost all the scenes that I was looking to capture. The AI is apt in that aspect. The bokeh mode works fine with clear sharp outlines and good blurring. The second camera serves well to take wide angle shots that cover a lot of detail and more area in the images. The ability to manual switch to this mode is a definite plus in practical usage. My peeve with the AI more is that it tends to overcompensate a bit more when enabled and images look over saturated when there are multiple objects with a lot of colors in the foreground and background. Other than that, the camera on the front also delivers a lot of good quality images. Winner: OnePlus 6 wins here, the AI camera in the Zenfone 5Z overcompensates a lot and gives unrealistic saturation levels at times. Addressing a common pain point among smartphone users, OnePlus has worked on ensuring its phones remain as fast and smooth as the day they came out of the box. OnePlus achieves this goal through a combination of powerful hardware and intelligent software which work seamlessly together. The OnePlus 6 is powered by one of the most powerful processors on the market, the Qualcomm® Snapdragon™ 845, which improves performance by 30%, while being 10% more power efficient. Coupled with the Adreno 630, which is 30% faster than the previous generation, the OnePlus 6 is a powerhouse for everything from streaming HD video to playing graphically intense games. With up to 8GB of LPDDR4X RAM, the OnePlus 6 effortlessly switches between multiple apps running at the same time without a single second of lag, allowing users to multitask with ease. The OnePlus 6’s dual-lane storage, based on UFS 2.1, ensures faster app loading and read/write speeds. There are three storage variants 64 GB that is the default and you have the higher end 128 GB and 256 GB options available for the OnePlus 6. At the heart of ZenFone 5Z is the flagship Qualcomm® Snapdragon™ 845 Mobile Platform and Qualcomm Artificial Intelligence Engine, which combine a very smooth app and AI performance with noticeably longer battery life. The company claims that the ZenFone 5Z is engineered to run cool even when running lots of demanding apps, and there’s plenty of extra power on tap if you need it. It also features all the latest and greatest connectivity options for maximum convenience wherever you are. I tried putting it through a very testing grind with several heavy apps and games running in parallel. At one point, I had Injustice and Mortal combat running together and tried switching, there was absolutely no lag or stutter to be seen. The device takes heavy loads and cuts through it like a hot knife through butter. All that internal optimization using AI works and delivers. A big tick on performance and speed. Totally up there with the OnePlus 6. This is going to be a tight contest. The battery performance on both the phones is comparable and both last long enough to get you through a day and more in a single charge. The call quality is good on both phones and they support LTE effortlessly. 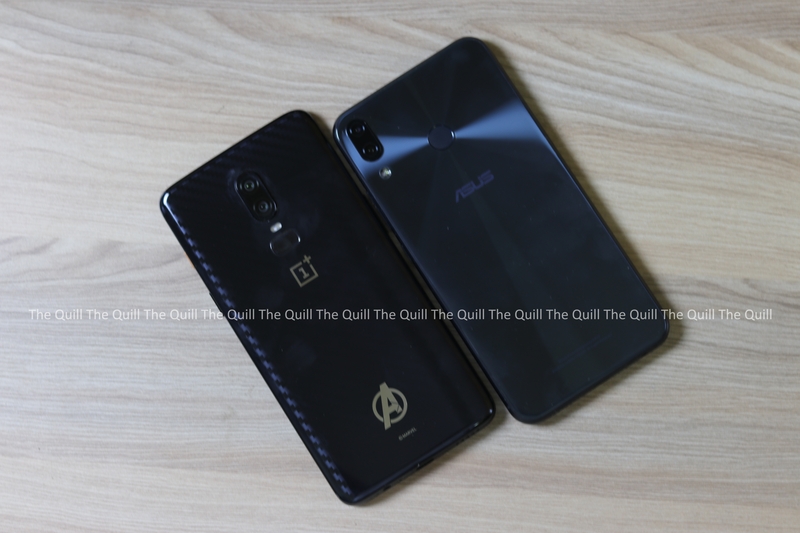 Asus has thoughtfully added stereo speakers and AI enhanced sound in the mix while the OnePlus 6 has missed a trick there. OnePlus has Dash Charge that is now called Rapid charging and Zenfone 5Z has AI assisted charging that helps the battery charge optimally and also enhances battery life. The pricing war is won by Asus though, the 6GB /64GB variant starts at an attractive 29,999/- and that is mind boggling. Both phones come with back covers in the box for all variants. On the color variants front OnePlus has more variants and hence more options. This is a tough one to call, but then such are the ways of being a blogger. So, in a nutshell, experience-wise it is very very very close to call, the hardware, the cameras and stuff are all close. But I would say that the OnePlus 6 is the winner on an overall level – due to the fact that Oxygen OS is still the fastest, leanest and smoothest OS version and sheer speed of the device. On the camera front, I think the OnePlus 6 wins. Overall, if you are looking for a powerhouse that doesn’t burn a hole in your pocket, both these phones are great. But in this contest, OnePlus 6 is ahead by just a whisker. Happy to see Asus back in the big league!